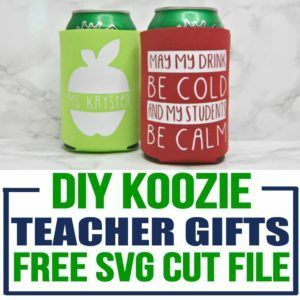 I love learning about new Cricut projects and Cricut Explore Air 2 Projects, but some Cricut crafts seem more advanced than others. 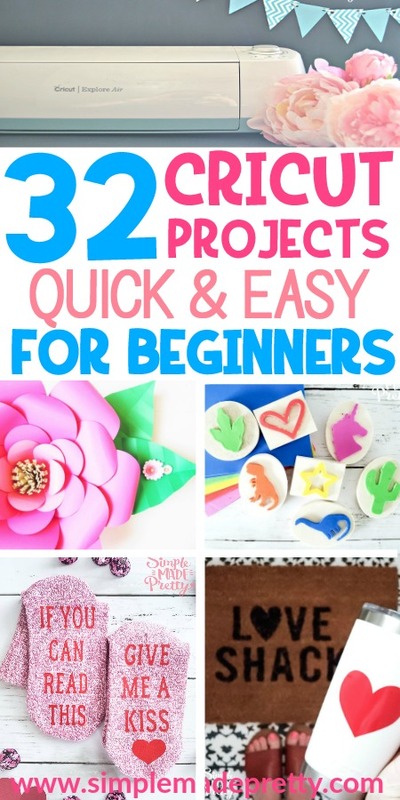 I put together this list with Easy Cricut Projects for Beginners to help others find Cricut tutorials for beginners and free Cricut projects. 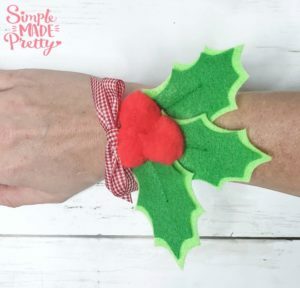 Most of the projects featured in this post can be made using a Cricut Explore Air and Cricut Explore Air 2, but some of these beginner projects require a Cricut Maker Machine (Cricut beginner projects using fabric). 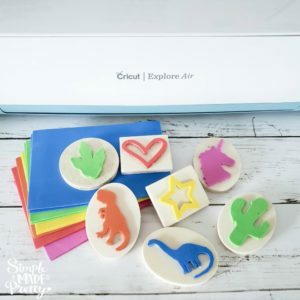 Keep reading to find Cricut Explore Air projects, Cricut Air 2 projects, Cricut vinyl projects, farmhouse Cricut projects for beginners, and more! If you don’t have the Cricut Access Membership, I highly recommend it because you’ll get access to thousands of images, hundreds of fonts, 10% off your purchase of materials, machines, tools, etc… plus 10% off premium images, fonts, ready-made projects, AND you get priority in the member care line! Paper crafts are one of the first projects I made using my Cricut machine. Grab some card stock, (either 60 lb or 110 lb) from your local craft store (my favorite craft supply stores are Michael’s Stores, Hobby Lobby, Cutcardstock.com, Amazon, and Cricut.com) and start making stuff! Try making these paper flower corsages! There is a bit of a learning curve when it comes to making paper flowers but once you get the hang of it, you will never buy another silk/fake flower again! –>>See how to make a paper flower corsage in this post! 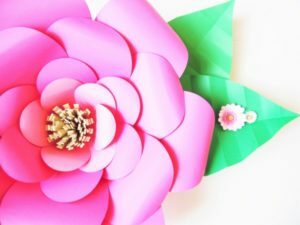 My friend Abbi from Abbi Kirstin Collections makes the most beautiful giant flowers and she shares free templates and tutorials on how to recreate them. She also has a book on the art of making Giant flowers that I highly recommend you check out! –>>Learn how to make Giant Paper Flowers here! I bought my first Cricut machine to make greeting cards (and those greeting cards provided income through my Etsy shop!). The first project you make using Cricut should be a greeting card (Cricut even sends you materials and instructions to make your first greeting card project!). There are so many greeting cards available in Cricut Design Space Make-It-Now posts! 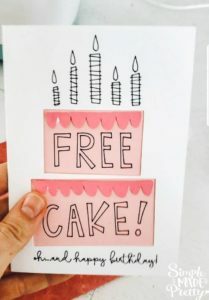 I love looking through the Make-it-now projects on Cricut and the greeting cards are super easy when you need a last-minute Birthday card like this cake card I made recently! 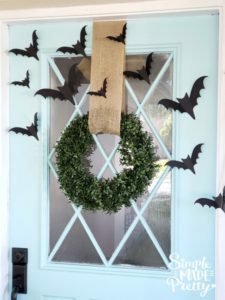 And I used the same Cricut cut bats on this wall to decorate our home for Halloween. I got so many compliments (even a share from Cricut!) 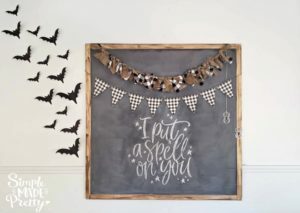 on Instagram during Fall 2018 when I showed how to use these paper bats in Halloween decor. –>>Here’s more about this bat wall! 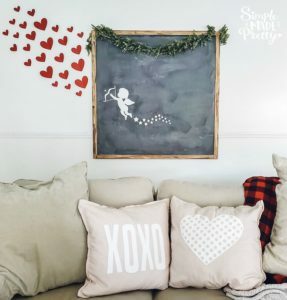 During Valentine’s Day, I cut some paper hearts and used them to cascade down a wall…Oh, and those pink pillows (The XOXO and heart) were made with my Cricut Maker machine! 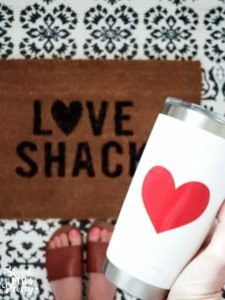 I try to use Cricut to make my own home decor items before spending money on home decor. 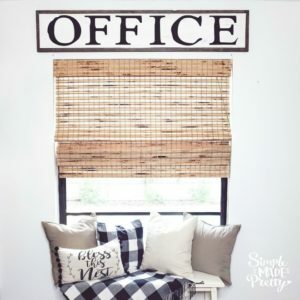 Most of the trendy decor you can buy is usually something handmade that you can replicate using your Cricut machine! Holiday paper cut images are not the only things you can make! In my daughter’s bedroom, I cut some paper butterflies and taped to the wall like they are flying away. She enjoyed those butterflies for 4 years until the day we moved. I still have the butterflies to use again if she wants to… which is also a benefit of using paper decor… you can easily pack it up to be used another time! Did you know that Cricut can cut foam? I’ll show you how easy cutting foam with Cricut Explore is below! DIY foam stamps are the perfect beginner Cricut craft! Cutting foam with Cricut was one of the first Cricut made craft projects I did back in 2015 (I even wrote a blog post about it here!). –>>Learn How To Make Stamps Using Cricut and supplies from the Dollar Store here! 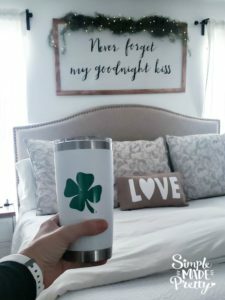 If you are new to using Cricut machines or are interested in learning how to use your Cricut to make DIY mugs, then this post is for you! 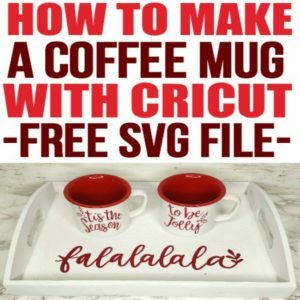 I included a free Christmas SVG file below to give you some Cricut mug ideas and instructions on making a mug with Cricut. Making Cricut coffee Mugs is easier than it looks! This is a fun Cricut Explore Air project that a beginner can make. 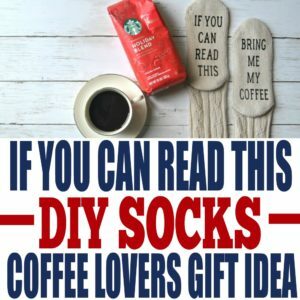 –>>Learn How To Make A Coffee Mug With Cricut here! I also made this EASY heart image using leftover vinyl on my Yeti mug for Valentine’s Day! I made an outline of a heart shape for another project and had the inside leftover so I just stuck it to my mug! 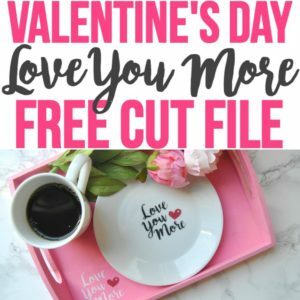 This Love You More Free SVG Cut File is a cute way to surprise your sweetheart on Valentine’s Day and other romantic celebrations. 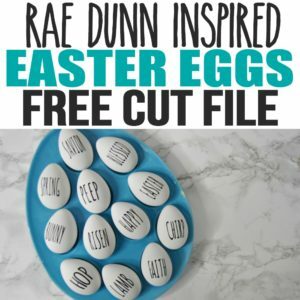 Find the free SVG, DXF, EPS, & PNG cut file below to make this super easy DIY! I used the cut file on a serving tray, a plate, and a mug but this would look cute on a t-shirt, a bag, and so much more! –>>Learn how to personalize a dish in this post! –>>Make your own 3-ingredient soap in this video! 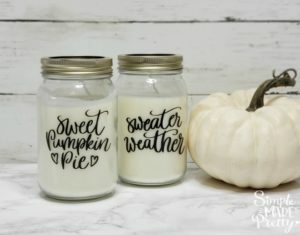 I also personalized these Dollar Tree jars after making my own soy candles! I found the SVG designs for Sweet Pumpkin Pie and Sweater Weather at my favorite place to find FREE SVG files. 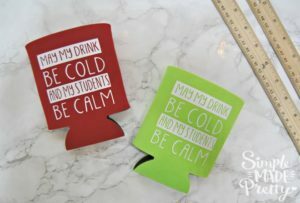 Use iron-on or heat transfer vinyl to make some fun drink koozies! I made some for my kid’s teachers one year and they loved them! 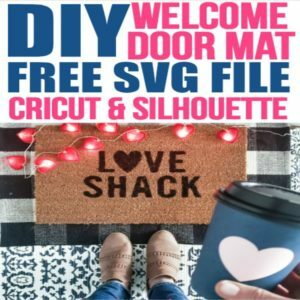 A DIY Doormat is a Cricut project that I’ve made several times! Have you seen those funny or personalized doormats on the Internet lately? If so, I bet you’ve already done your research to see how much they cost ($25-$40 for a special order on Etsy!). 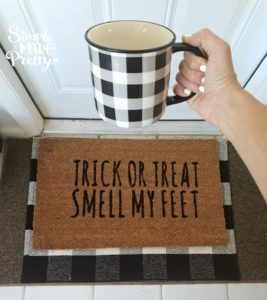 These welcome mats are super easy to DIY and personalize with your own creative design (while saving money) and I’ll show you how! 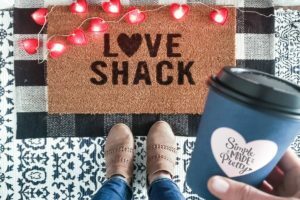 I made this Love Shack doormat after hearing the song on the radio and thought, that would make a fun doormat! 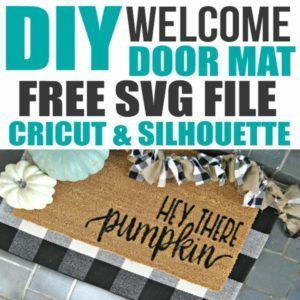 I made a Fall doormat that went viral on Instagram and Cricut users everywhere wanted to try making their own welcome mat with this hack! Once you start making doormats, it can become an addiction! LOL! 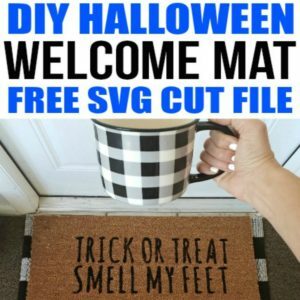 Check out this Halloween doormat and by the way, all the SVG files to make these welcome mats are FREE in my digital resource library! Farmhouse signs are one of my FAVORITE things to make using my Cricut. 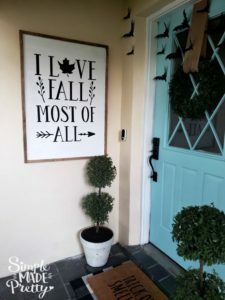 I have written several posts about building your own wood farmhouse signs, using old wood, using foam boards and paint sticks, and repurposing clearance farmhouse signs to add your own Cricut-made decals. 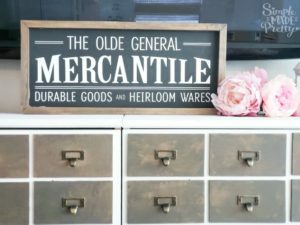 These DIY Dollar Store Farmhouse Signs are going to blow you away! These are not your typical Farmhouse signs but they sure look like them! The secret is that all materials cost less than $1 to make these signs (minus the Cricut design). 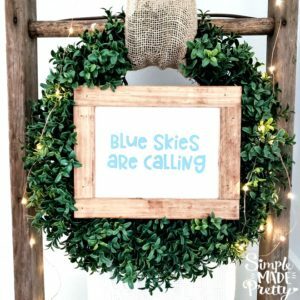 I posted a picture of these signs on Instagram and everyone went wild for the plain sign with the hanging wreath on it but the possibilities are endless with adding your own design, quotes, and image to these $1 DIY signs! 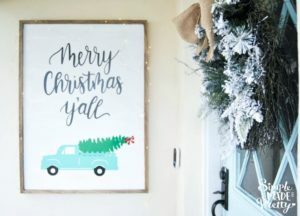 –>>Keep reading for how to make these DIY Dollar Store Cricut Farmhouse Signs! –>>Learn how to make the Nativity sign and grab the Free SVG file here! 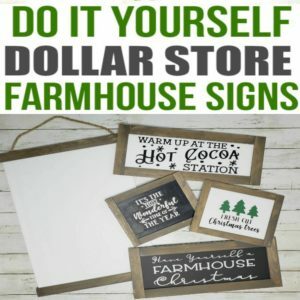 Use Dollar Tree decals for a farmhouse sign then add your own design as I did with this farmhouse Unicorn sign. 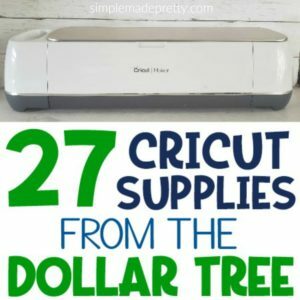 My followers on Instagram went crazy when they saw this Cricut/Dollar Tree hack! 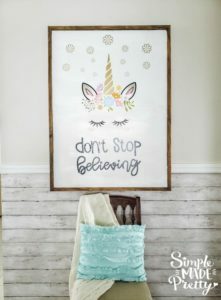 I used a Dollar Tree Unicorn Decal then added my own Quote (Don’t Stop Believing) to the sign for an easy #5minutecraft! 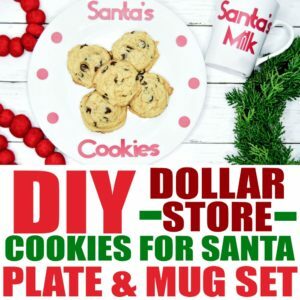 –>>Learn more about using Dollar Tree Decals on Farmhouse signs in this video! 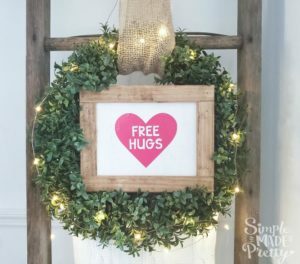 –>>See more about the Free Hugs DIY sign here! If you want more inspiration to make signs using your Cricut machine, Follow Me On Instagram! I’m always sharing a sneak peek into my latest DIY in my Instagram stories and saving the how-to videos as highlights or on my IGTV channel! –>>You can follow me on Instagram here! 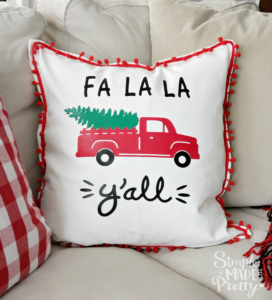 Every year when the holidays rolls around I see the holiday decor in stores and think to myself, “I can make that.” Have you seen those Fabric-cut and sewn on Pillows during Christmas, Easter, Valentines Day, and other holidays? 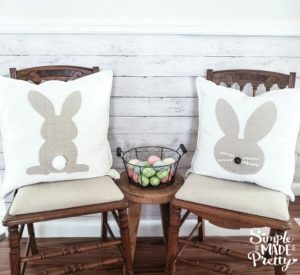 I finally decided to make my own DIY Easter pillow and Valentine’s Day pillow using my Cricut machine! 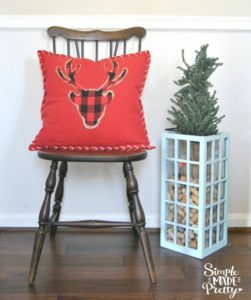 Here are a couple of pillows that I made Christmas 2017 using the Cricut Maker Machine, buffalo plaid fabric, and Ikea pillow covers! –>>Keep reading and watch the how-to videos below for how to make a Fabric-Cut Pillow Using the Cricut Maker Machine! I made this next fabric cut pillow during Valentine’s Day and during the rest of the year, I display it in our master bedroom (on the bed). It would make the perfect newly-wed gift too! –>>See more info about the red truck pillow here! Guess what? 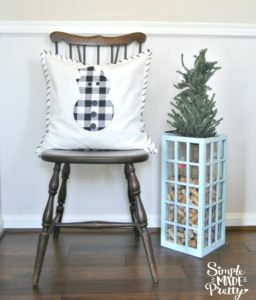 You don’t need HTV or fabric to make pillows using your Cricut because you can also use fabric paint! 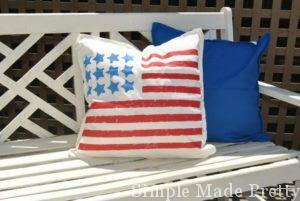 One of the first Cricut projects I made was stenciling these patriotic pillows. I created a stencil using heavy cardstock and Cricut, taped the paper stencil to the pillow cover and painted with fabric paint. 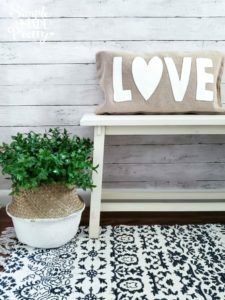 –>>Learn how to make stenciled pillows in this post! Did I say personalized chairs? Yep! 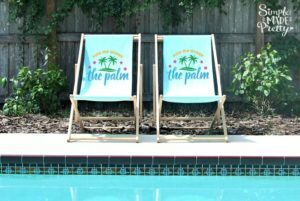 I wanted to add my own touch to some boring outdoor chairs so I added one of my favorite Design Bundle images using Cricut Iron-on. These chairs have been outside for 12+ months and they still look great! 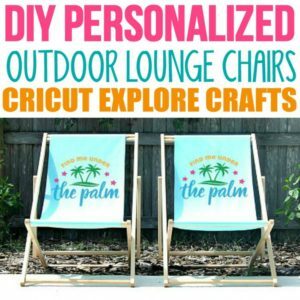 –>>See how to personalize outdoor lounge chairs in this post using Cricut! The ideas are endless when it comes to using felt and the cost is so low, why not stock up on felt the next time it’s on sale! 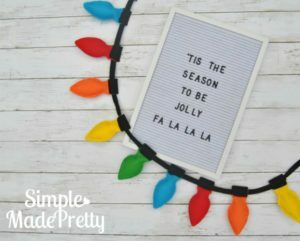 Making a felt banner is one of the easiest beginner Cricut projects and will update your seasonal home decor without spending a ton of money. Learn how to make a felt Easter banner below! 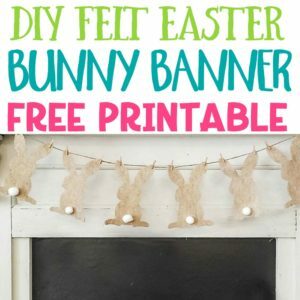 –>>Check out this post with a Cricut Made Felt Easter Bunny Banner! 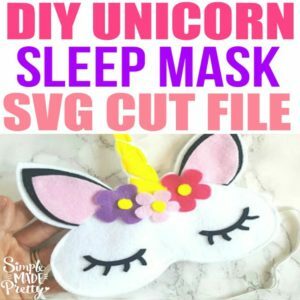 If you love unicorns and sleeping in, this beginner Cricut sleep mask project is a fun way to use your Cricut Maker Machine. I get asked all the time if the Cricut Explore can cut felt and for some projects, yes, it can. But for a project like this (with small details and cuts), I recommend the Cricut Maker machine with the rotary blade. 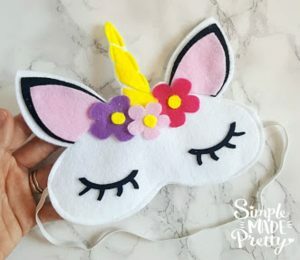 –>>You can easily make a cute sleep mask with Felt and your Cricut machine. 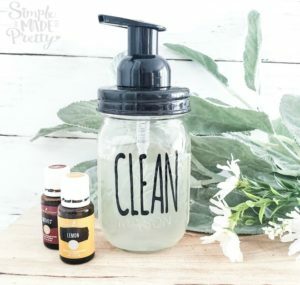 Find the full post here! 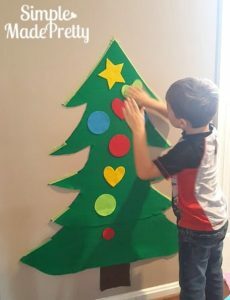 –>>Kids will love playing with this Felt Christmas Tree with ornaments made using a Cricut machine! –>>Decorate your home with this Felt Christmas light garland! 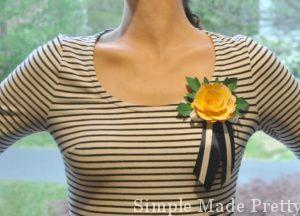 –>>Make some Felt boutonnieres or corsages using the Cricut Maker machine! 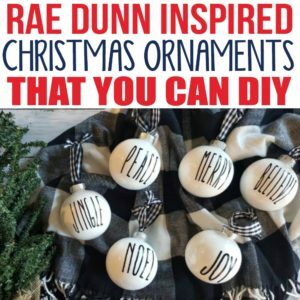 –>>Make these Rae Dunn inspired ornaments using a Cricut machine! I love me some print then cut Cricut crafts because they reduce craft time drastically! Before the Print then cut feature, you had to cut all the color cardstock needed to make something. It was so time-consuming to make little cupcake toppers, etc! That’s why I think Print then Cut Cricut projects are perfect for beginners! 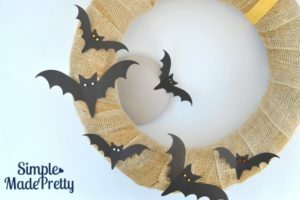 These Halloween treat holders are easy to make with Cricut. 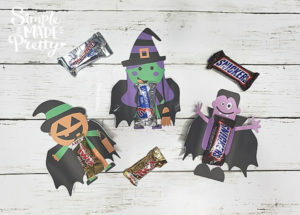 Just upload the free SVG file (get it here), follow the tutorial here (sizing, etc), add treats and you have a cute party favor or Halloween treats! These woodland treat holders are similar to the Halloween treat holders above. 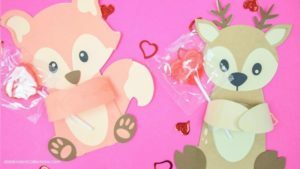 My friend Abbi from Abbi Kirstin collections gives you a free file to make these Print then Cut woodland creatures using Cricut! Make your life easier by trying some of Cricut’s make-it-now Print then cut greeting cards the next time you’re in a rush for a greeting card! 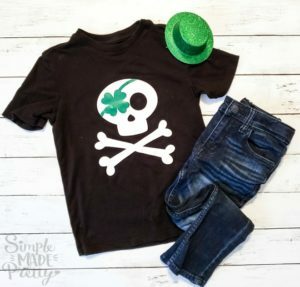 I made this skull and bones St. Patrick’s Day shirt for my son back in 2017 and everyone loved it so I added a free SVG file to make it in my library! Upload the image, size it depending on the size of the T-shirt, and iron the image . For more help, refer to this video! 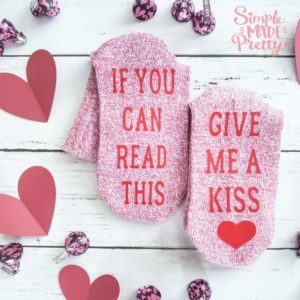 These “If you can read this” socks are funny and make cure gifts. You can change the saying on the second sock to say whatever you want. I’ve made several of these socks and even offer a BUNDLE Svg file in my shop so you can make these socks in minutes and give as gifts (or use for yourself, hehe). –>>Go here to get the SVG Bundle with different sock quotes! A Cricut hack I used to do before I invested in iron-on was to make my own stencils and paint images and quotes on clothing and apparel. This Less Monday More Summer T-shirt was stenciled using fabric paint! 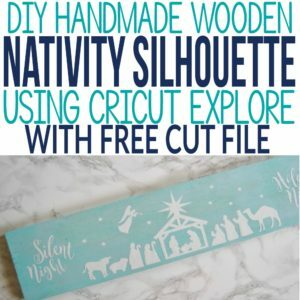 I hope this post gave you some ideas for your Cricut Explore projects for beginners. 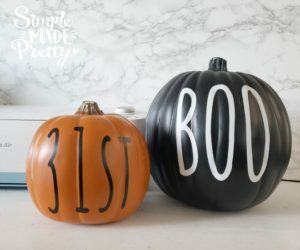 Being a beginner using Cricut, vinyl Cricut Projects, and other Cricut materials don’t mean you can’t try new things. 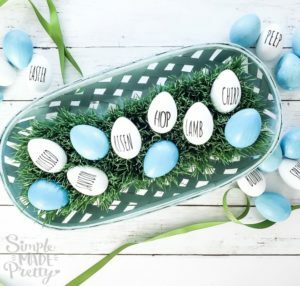 Some of the Cricut projects on this beginner list might seem hard to you at this point in time, but once you start trying a few DIY Cricut projects using your Cricut Explore or Cricut Maker Machine, you will feel more comfortable trying more advanced Cricut Projects!